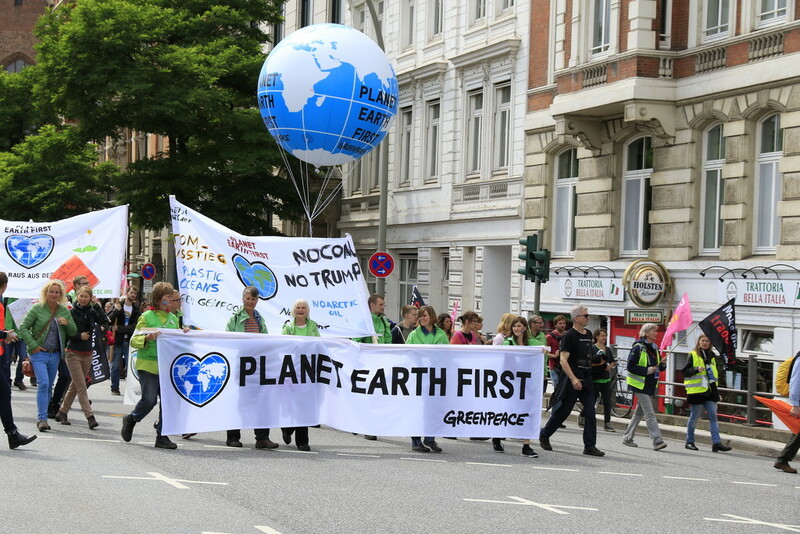 I knew there would be G20 protests in Hamburg this weekend but I thought we avoided them by not going to certain parts of the city. Suddenly we came upon this big demonstration march with thousands of participants so I took the opportunity to take some documentary/journalism shots. No photo editing software otherwise I would have cropped the image at the sides. Sad photo..because we are planet Earth!